Michael Cranford began his career with the Boys & Girls Club of Chattanooga in 1968 as a college work-study student. He was the first African-American hired in the organization. He continued his part time work in various positions until 1974 at which time he graduated college and became a full time employee of the Club. During his tenure, he has served as a Health & Physical Education Director, Cultural Ed Director, Social Recreation Director, and Unit Manager at the Club’s first housing development Club. In 1985, he became the organization’s first Director of Operations. In November 1995, he was elected by the organizations Board of Directors to become the organization’s 4th CEO and first African American to lead the organization. During the past 50 years, he has impacted thousands of young peoples’ lives. These young people, now adults, still come to the Club regularly to tell him how much they appreciate his leadership, his sense of caring, and all he did for them. Michael has served as a board member to the Tennessee Boys & Girls Clubs CBO since its inception. During his Boys & Girls Club tenure, Michael has served on many BGCA national committees and advisory councils such as the Pension, Human Resource committee, National Keystone Advisor, and chairman of the Southeast Leadership Conference. He also served as President of The National Professional Association, and served on the BGCA National President Advisory Council, and the National Diversity Council. He was nominated and completed the Strom Thurman Executive Leadership Program. He serves on many boards in our local community that deal with advances for youth and equality in education for minority children. Cranford has received numerous awards, including the Thomas Garth Character and Courage Award, the Herman S. Prescott Award, and the Robert M. Sykes Award for Professional Excellence. He has been named the S.E. and BGCA National Professional of the Year. 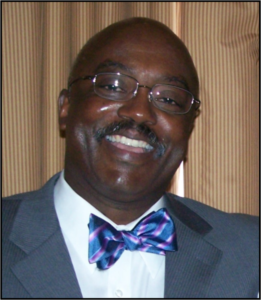 He has been a consummate advocate in professional development and excellence throughout his career. Because of this dedication for professional development and excellence, an award is given annually to a South East BGCA professional which bears his name. Approximately 58 years ago, as a young child, Michael would walk the two blocks from this grandmother’s house to the Boys Club. He had seen the excitement on the faces of many of these boys and wanted to join them. Sadly, he was never allowed to cross over that sacred fence to enter that Club due to the color of this skin. As seen through the eyes of a child, he did not understand why he could not join in the fun, he did not understand segregation. Several years later, he got to cross the fence and became the first African-American employee of the organization as a college work-study student. Cranford currently serves as President and CEO for the very organization that denied him access those many years ago. In 2008, the board built a new Highland Park unit, and where, on the same corner where he looked through the fence, there is a new building dedicated to him and will forever be remembered by a cornerstone which bears his name and service to the organization. For 50 years, Michael has touched thousands of lives through the many positions he has held during his tenure at the Chattanooga Club. Through the way, he lives his life, his compassion and caring for others, his service attitude, and leadership, Michael strives every day to ensure that children in our community and people everywhere receive the opportunity of a fair playing field. He has served selflessly to improve the quality of life for children, been their advocate and voice many times when there was not one, has strived for excellence in all he does, and has a passion for passing that excellence on to young professionals.